A vegetarian diet, or plant-based diet, is becoming one of the most popular styles of living and eating today. While there are many ways to be healthy, and proven benefits to also eating animal products, it’s quite possible to lead a long and healthy life eating a plant-based diet. If you’re interested in trying this style of eating, or just eating more plants in general, this article will get you started. First, What Is a Vegetarian Diet? Is It The Same As Vegan? A vegetarian diet is not the same as a vegan diet. A vegetarian diet is based on the premises that one doesn’t eat meat, poultry, or fish. In essence, vegetarians don’t eat the flesh of animals at all. However, vegetarians may still choose to eat byproducts of animals such as honey, dairy, eggs. Many vegetarians don’t consume these foods at all, which technically means they eat a vegan diet. A vegan diet eschews all animal flesh and byproduct foods. Many vegans also choose to extend their beliefs about eating in a compassionate manner into their lifestyle by avoiding all beauty, clothing, and hygiene products along with items in their home that are not made from animals or contribute to animal cruelty (such as animal testing). 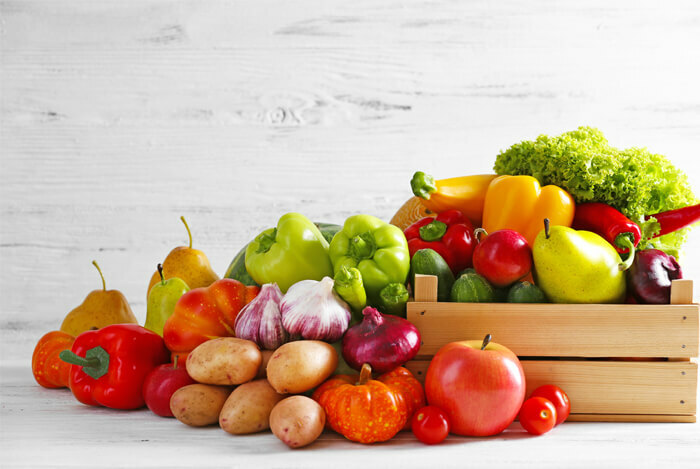 A vegetarian diet can encompass all varieties of plant-based foods and incorporate some animal-based foods into the diet occasionally as the person desires. However, if you’re looking to eat more plants and less meat for your health or another reason, there are some key things to be sure you take note of before you begin. Vegetarian, mostly plant-based diets aren’t as hard to follow as you may have heard. 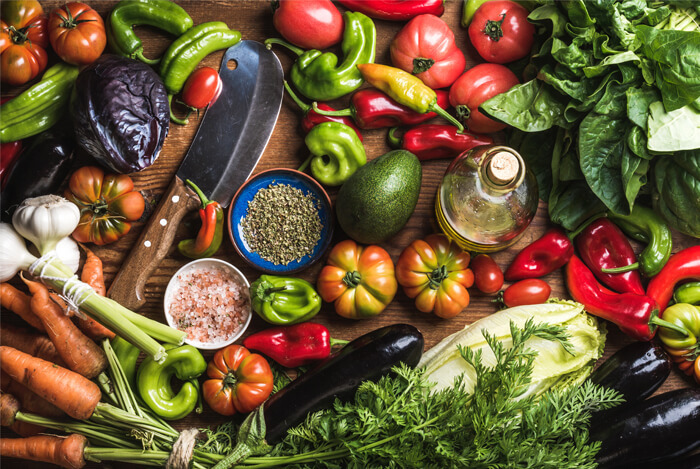 Take note of these 10 tips below for ways to eat a vegetarian diet for optimal health before you give it a try. Don’t worry, you won’t be living off fruits and vegetables, but they can be the baseline of what you eat. For a list of foods to start buying at the supermarket, you can also check out this handy grocery list. Next, make sure you consume at least 9 servings a day. 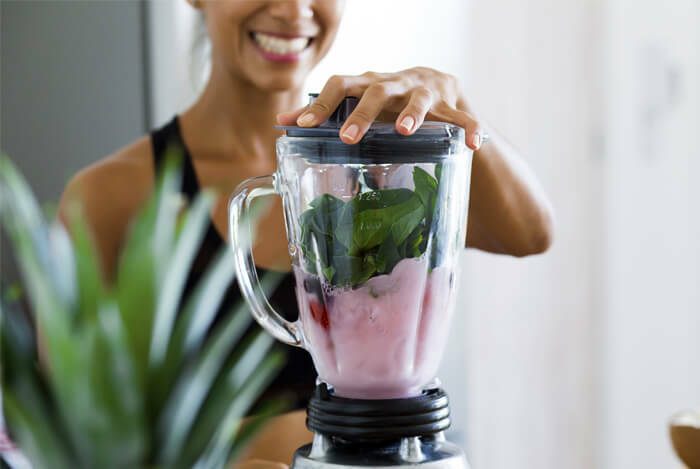 Make it your goal to consume 5 one-cup servings of green foods (leafy greens and green vegetables) and you can choose to make the other 3 one-cup servings either fruit or another vegetable. Fruit and yellow and red vegetables provide ample amounts of Vitamin C you need for good health. Potatoes and winter squash are also high in vitamin C and fiber. 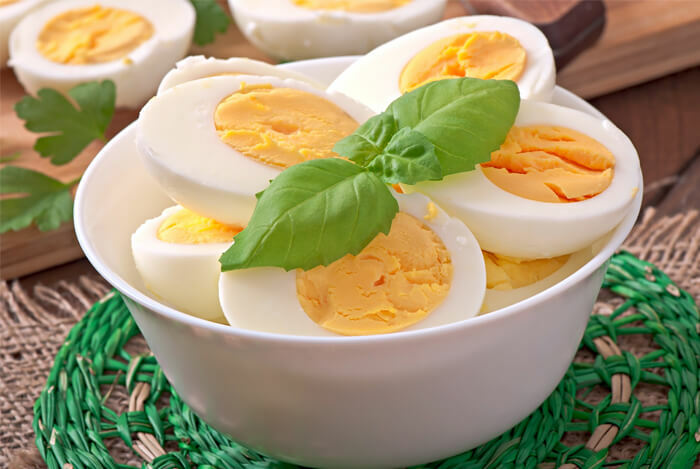 Vegetarian sources of protein include legumes (peas, beans and lentils), eggs and egg whites, yogurt, and some nuts like almonds include protein too. When it comes to nuts and seeds, remember to consume moderate portions each day which is one ounce, or about ¼ cup of whole nuts or 2 tablespoons of nut butter. Always choose varieties without added salt or sugar for optimal health. You don’t need a lot of cookware to eat vegetarian, but there are some appliances and tools that can help you eat a vegetarian diet. The first one is a blender, which is great for making smoothies, soups, and quick sauces. The next is a vegetable steamer or slow cooker which is great for preparing cooked vegetables without much hassle and eliminates the need for oil and frying. A great chef’s knife, paring knife, and some nice bowls and silverware also make it easy to make a variety of plant-based dishes. Salad bowls, food processors, and pressure cookers are also popular among many vegetarian eaters. One way to stay motivated is to consistently stay inspired! Recipes and new foods are an awesome way to do both. Next time you go to the store, branch outside your usual fruit selections and try a new one. Instead of cooking your broccoli the same old way you usually do, try a new option or use a new seasoning! Cookbooks on plant-based diets are also abundant on Amazon and in bookstores nationwide. There are even books dedicated specifically to transitioning into a vegetarian, plant-based diet if that’s something you’re looking to do. What’s your take on a vegetarian diet? Have anything else you’d like to share? Let me know in the comments below!